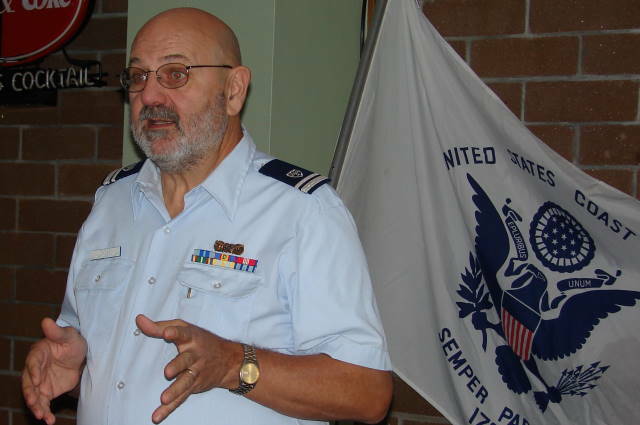 Dr. John Thomas was sworn in today as the commander of U.S. Coast Guard Auxiliary Flotilla 71. With nearly 30,000 members, the U.S. Coast Guard Auxiliary actively provides safety patrols on area waterways and regularly meets with the boating public at marinas and in classrooms. We also directly assist the U.S. Coast Guard in non-law enforcement programs such as search and rescue, and marine environmental protection. John is my step father. "71" patrols the Columbia River.